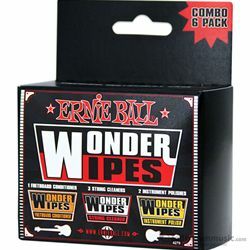 6 individually wrapped Wonder Wipes Fretboard Conditioner. Nourish your Neck in Minutes! Unique blend of orange, jojoba and linseed oils eliminate dirt and grime off your fretboard in one easy swipe!